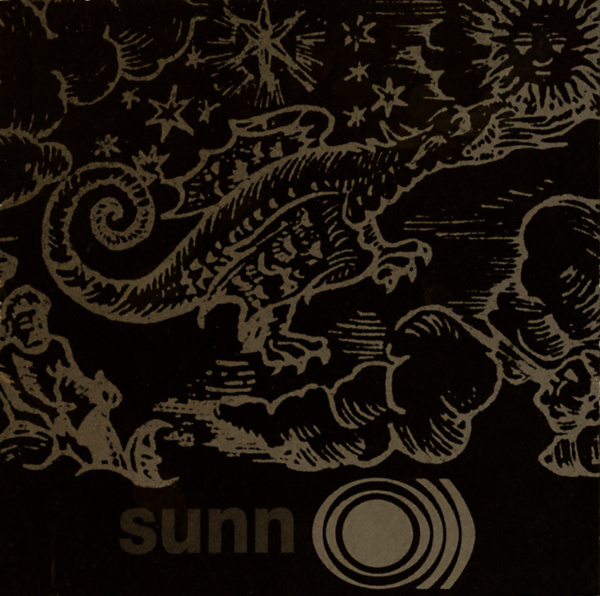 There's not much ground that hasn't been covered when you're writing about US doom metal overlords Sunn O))). Stephen O'Malley and Greg Anderson have conquered the non-metal world and turned countless hipster heads toward a scene previously dominated by depressed teens and portly comic book collectors. Now it seems everyone wants a piece of metal, you bump into them in Selfridges, in Waitrose and in French Connection, fingers chapped from endless Ebay surfing for that 'holy grail' of drone metal, that 20 copies only release that seems to keep evading purchase. Well as good or as horrible as this may be, it's happened and if one truly good thing has come out of it it's that suddenly the stuff is really easy (and cheap) to get hold of, so those of us without offshore bank accounts can purchase the stuff and enjoy it in the comfort of our own cave. 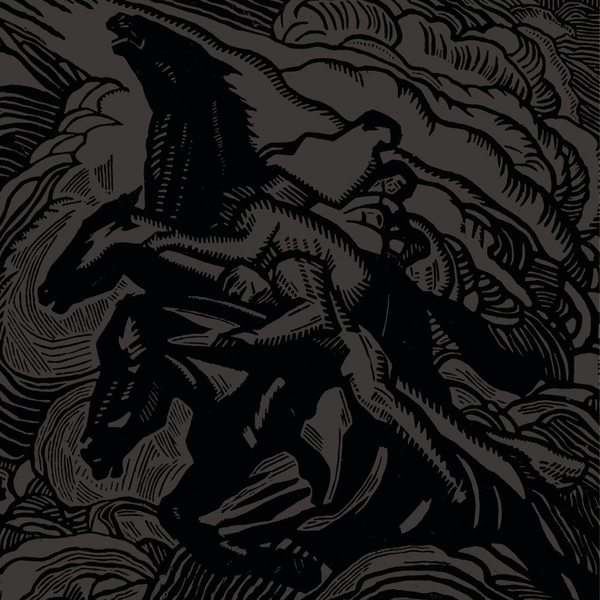 'Flight of the Behemoth' was released before the duo's world-beating double punch of White One and Two, and doesn't quite have the refined, bass heavy drone insanity that made those albums so darn popular, but as you probably already know, Sunn O))) material is pretty much all indispensable, even the band's demos. The most interesting thing on offer here though is two collaborations with Japanese noise God Merzbow, who teams up with the boys to create quite menacing noisedrone. This is comparable with his crucial Boris collaborations on Hydrahead, and makes me wonder why the acts have never followed up this collaborative urge. maybe they weren't satisfied with the results? Who knows, but we've got this to be going on with for now. The record ends on a high (or loooow.) too with a ten minute slice of prime low-end badness, destined to churn your bowels and cause plenty of upset to your long-suffering neighbours. Recommended.